Oooh, I love popcorn! I love it so much I recently invested in a spendy, dreaded single-use, Cuisinart popper. Its huge, takes up way too much room, but I like it. Not a fan of microwave popcorn, unless its of the do-it-yourself variety. 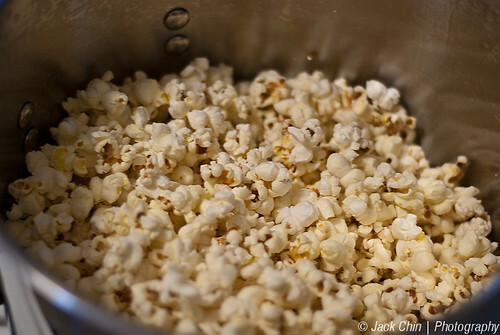 My in laws used to make popcorn on the stove in a pressure cooker … which, frankly, scared the heck out of me. Your way is much easier and safer! So much tastier than air or microwave popped too. Yum! 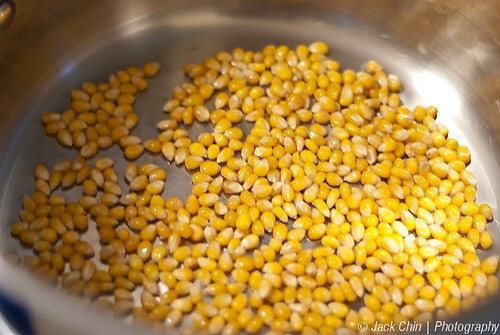 Making popcorn like this is so much better than the bag. A little olive oil and salt is all we need! 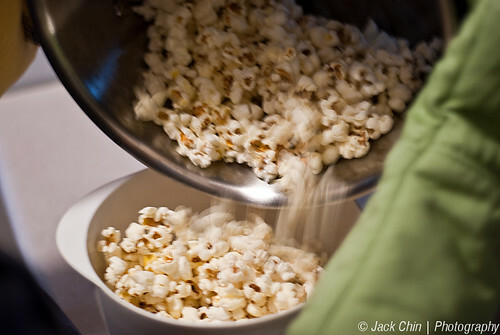 Mmmmm… olive oil and salt is a GREAT combination for popcorn!